Dragon Boat Festival, also known as Duanwu Festival, is coming soon. This public holiday celebrated by significant Chinese populations can be traced back to thousands of years ago, when Qu Yuan the loyalist was incriminated and exiled by his king. The tragic story gave rise to many customs that Chinese people do on Dragon Boat Festival. Additionally, in the story of Lady White Snake, we can observe other rituals that seem superstitious on the outside but in fact considerably practical. Here are some apps you can find in app store. 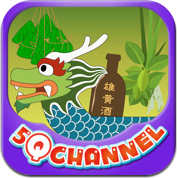 They will help you learn about the origin and traditions of Dragon boat Festival. This app contains 2 animated stories. The first story, Qu Yuan Drowns Himself in the River, is the best-known traditional story, and after reading the story, you will know why the festival commemorates the death of Qu Yuan. The second story, The Custom of Hanging Mugwort and Calamus, shows the origin of these customs. 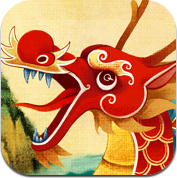 In geneal, this app will show you the most essential knowledge of Dragon Boat Festival. The app also contains the story of Qu Yuan, and the stroy is presented in the form of illustrated audio book in an different art style. The Legend of Lady White Snake is a well-known Chinese legend related to Dragon Boat Festival. The story tells of a young scholar who fell in love with a beautiful woman, unaware that she was actually a white snake spirit that had taken on human form. Over the centuries the story has evolved from a horror story to a romance. The whole animated story is divided into twelve episodes. Since The Legend of Lady White Snake is adapted from a classic literature, the animated story will also help students learn about the historical contexts of the story and the literature. 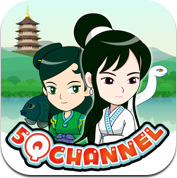 This is also the animated story of The Legend of the White Snake, but this app contains only traditional Chinese content. In addition to the animations, there are comic, illustrated audio books and the original literature. 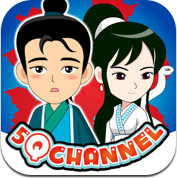 If you are the traditional Chinese learner, this app will be a better learning source.